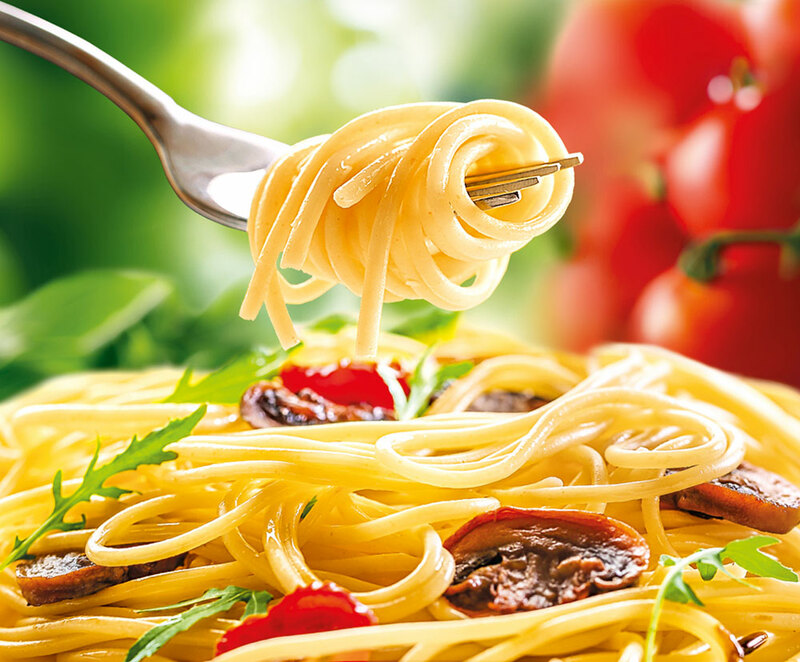 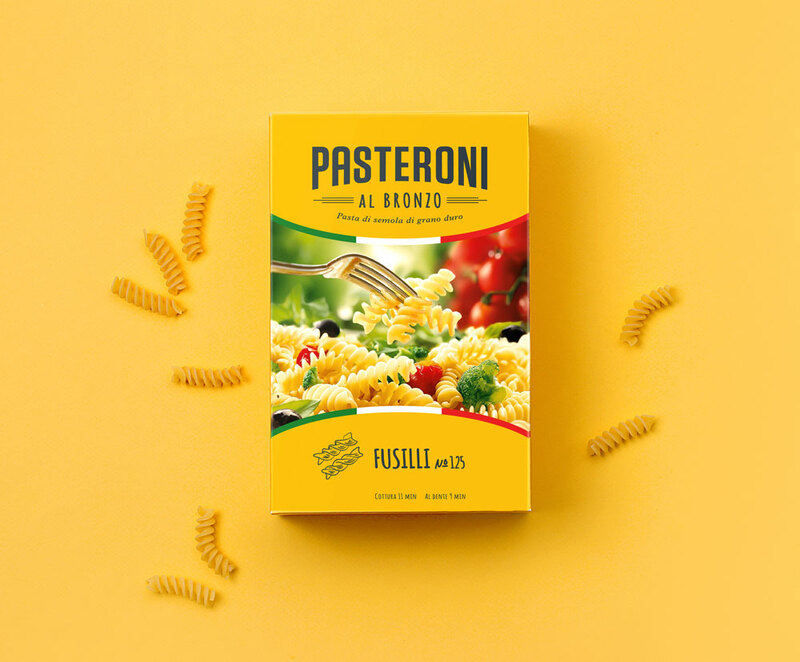 Pasteroni is an Italian brand of pasta in the middle price segment, made from durum wheat in accordance with the original recipes. 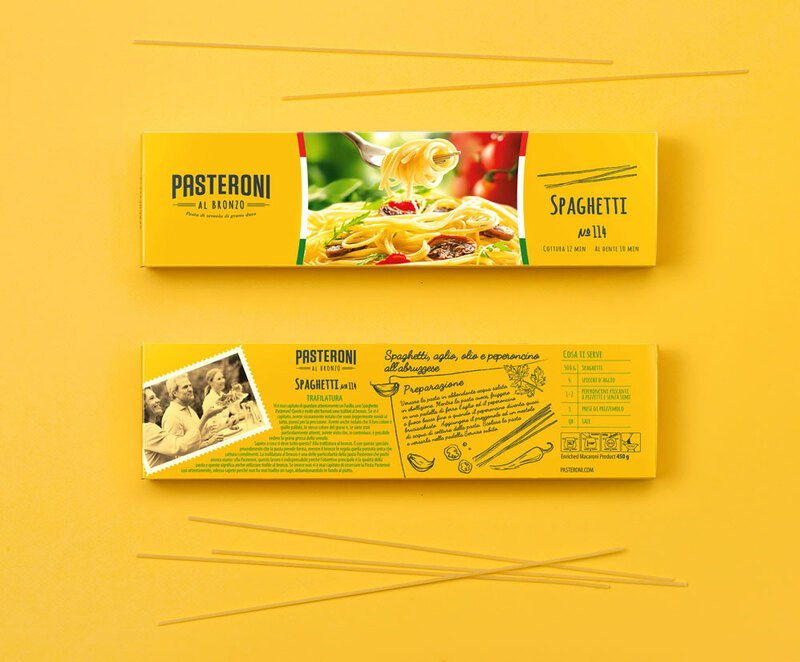 Bright, contrasting Pasteroni packages stand out in the shelf and attract the attention of buyers. 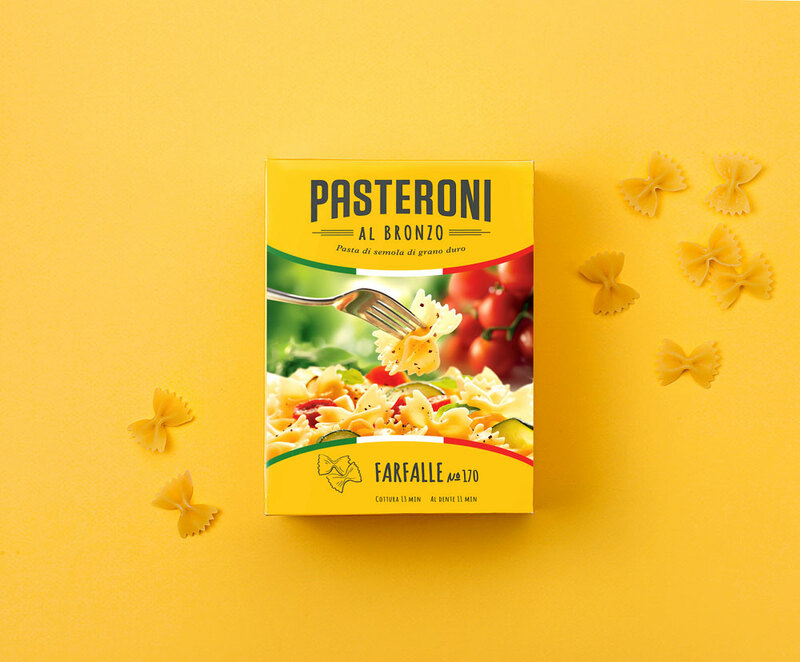 Appetizing emotional food groups, made in the colors of the Italian flag, talk about the origin of the product, cause the appetite and desire to prepare delicious food according to the original recipes. 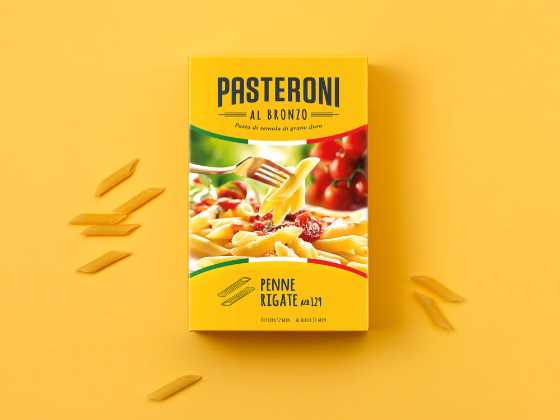 Recipes of cooking with Pasteroni paste are devoted to the reverse side of products - on each of the types of products, a recipe, illustrated in the author's style of the brand. 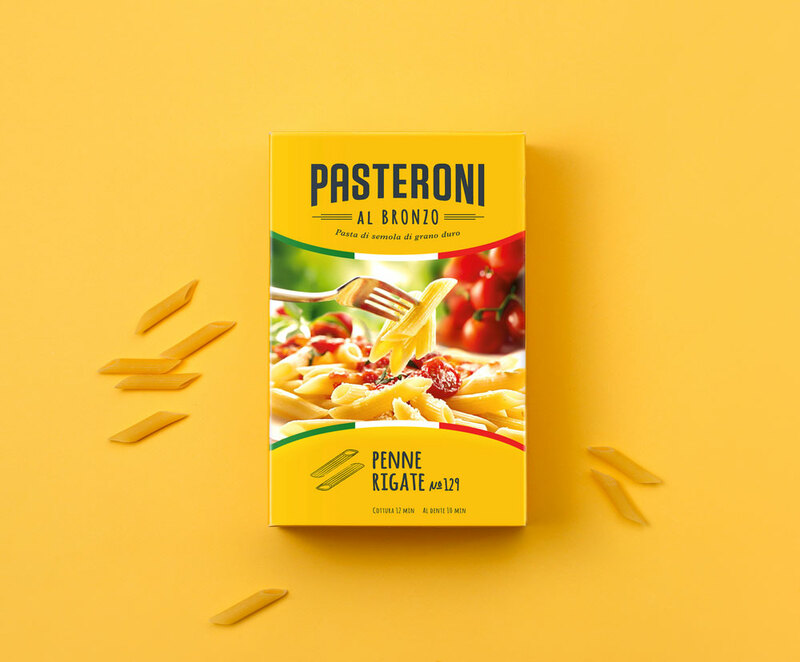 The Pasteroni brand was created precisely to match the high role of pasta in the life of a large Italian family, to become an irreplaceable assistant to the hostess in preparing a variety of dishes and decorating a family table.